Eco Wave Power (Gibraltar) Limited is an advanced and innovative international wave power developer. Eco Wave Power (Gibraltar) Limited is a renewable energy plant that will eventually produce 15% of Gibraltar's energy needs (according to Gibraltar's commitment to the EU by 2020). 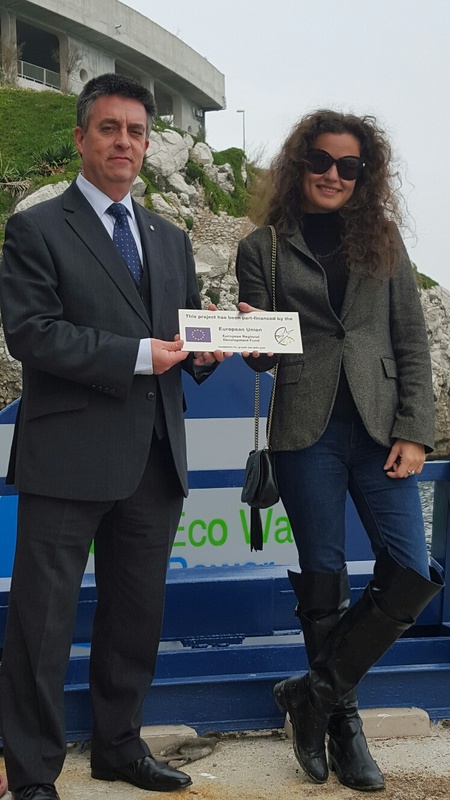 Eco Wave Power (Gibraltar) Limited is the first commercial scale renewable energy project in Gibraltar. Eco Wave Power (Gibraltar) Limited have handpicked Gibraltar's location and believe wave energy is a high potential new renewable energy source. EU Funding helped with the Equipment and Installation. More information on is available on the Eco Wave Power website.